If you're looking for a new phone, one factor that you need consider is its OS and user-interface. Vivo's Funtouch OS has an interesting take in its own GUI and takes user-friendliness in the next level. It's fun to touch! Vivo Mobile, the top 5 global smartphone brand, highlights its unique approach to the Android operating system with its custom flavour to the popular OS. Called Funtouch OS, this extensively customized operating system is present in Vivo smartphones, and allows users to enjoy features that are usually found on more expensive, higher-end phones. Vivo’s Funtouch OS was first launched on December 28, 2013. Since then, it has been through the hands of more than 50 million Vivo smartphone users. “Vivo’s Funtouch OS provides users with a simple, highly-intuitive, yet feature-packed take on the Android operating system. With these features, we provide users with a powerful device that can help them become more productive with functions that are useful in their everyday lives,” said Vivo Brand Director Annie Lim. The Funtouch OS was developed around the idea of a simple user interface (UI) that places intuitive controls within easy reach of its users. At present, Vivo’s V3Max, V3, and Y51 smartphones use Funtouch OS 2.5—Vivo’s most powerful smartphone OS yet. One of the strengths of the Android operating system is its high customizability. Vivo’s Funtouch OS preserves this feature with the i Theme application. This enables users to download various themes online that match their preferences, and even create their own by changing the wallpapers, fonts, and lock screen set-ups. With Funtouch OS, Vivo decided to do away with the traditional Android OS app drawer, which is now replaced by a desktop that can easily be organized with app folders. Vivo’s Funtouch OS also introduces the Quick Control Center, accessible with a swipe up from the bottom of the screen, which contains quick shortcuts including sound levels, brightness control, recent apps, and toggles for Wi-Fi, Mobile Data, Flashlight, and more. 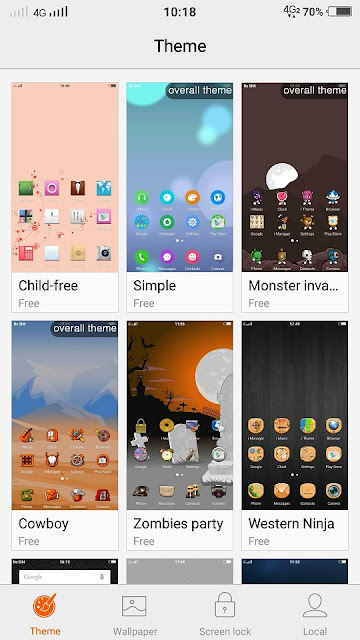 While the available themes provide users with customizability on their Vivo phones, Funtouch OS also offers several hardware management tools to complement the high-performance processor and RAM available in the V3Max, V3, and Y51 smartphones. With the i Manager application, users can easily clean their smartphones of unwanted files, manage installed applications, monitor their data and battery consumption, and set up privacy filters such as the private space and call and message blocking features. The i Manager serves as the Funtouch OS-powered Vivo smartphone’s control center that helps users optimize the performance of their phone. Vivo’s Funtouch OS is also packed with smart features that take advantage of the faster than faster performance of its smartphones. 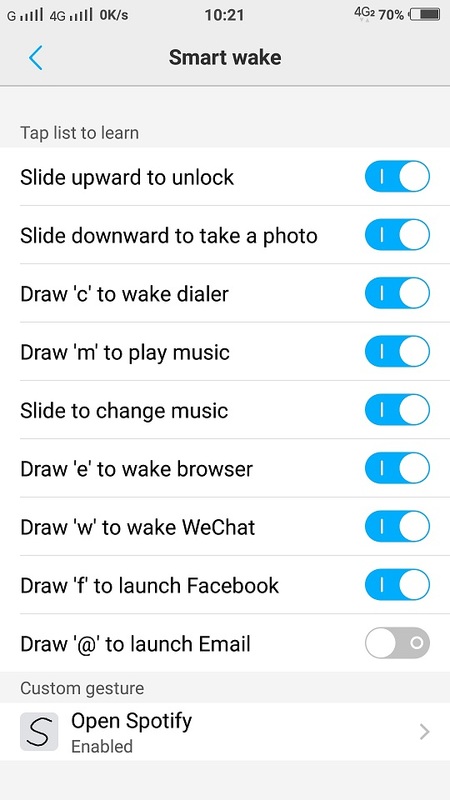 Smart wake gestures allow users to draw patterns on the screen of their Vivo smartphone to wake it and access apps such as the i Music app, camera app, phone app, and the internet browser. Funtouch OS also features several productivity-boosting functions. Users can toggle one-handed operation, accessible by sliding their fingers from the side of the screen, to the center, and back to the side, to allow them to resize the screen—useful for individuals who find it challenging to use their smartphones with one hand. Vivo’s Funtouch OS Camera app also features several experience-enhancing functions, including palm gesture photo taking and voice control shutter functions. These functions enhance the experience of Vivo smartphone users, allowing them to take full advantage of the speed of their smartphones. “Vivo’s Funtouch OS was developed with the needs and preferences of the youth in mind. The result is a user-friendly approach to the already tried-and-tested Android operating system with Funtouch OS 2.5. This is a culmination of the efforts of Vivo engineers all over the world to provide our users with the perfect balance between a beautiful UI and fast performance in their phones,” continued Lim. “As we continue to develop more innovative smartphones according to the demand of consumers, Vivo users can expect more features to be introduced in the future versions of Funtouch OS,” Lim concluded.